Please help make a difference. This is about much more than badgers – it’s about how we choose to live with nature. The pilot badger culls in West Gloucestershire and West Somerset have begun again, but the debate about the Government’s approach and its plans for rolling out culling more widely are far from over. You can read more about some of the on-going controversies here. Meanwhile, despite the rocketing costs, a culling method that clearly doesn’t work (i.e. freeshooting) and a cost-benefit ratio that makes no sense, the Government and the National Farmers Union (NFU) remain committed to rolling out the badger culls more widely. Months ago, Natural England is reported to have received initial applications for culling badgers in an additional 32 areas. It is unclear whether these applications have been approved, but clearly there is strong interest in some quarters for continuing to cull badgers. Prior to his departure from his position as NFU President, Peter Kendall, reportedly called for gassing and snaring of badgers to be allowed, in order to meet future cull targets more successfully. Since then, Princess Anne, added her voice to the debate by claiming (without any scientific basis) that gassing is humane. Badgergate’s response to calls for gassing badgers can be found here: http://www.badgergate.org/breaking-news/gassing-badgers-science-vs-royals/. The new NFU President, Meurig Raymond, and Deputy President, Minette Batters have both confirmed their support for culling badgers. The British Veterinary Association (BVA) also continues to support the Government’s badger cull policy. The Government announced that the 2014 badger culls began on 8th September in Somerset and Gloucestershire will continue for six weeks. This means culling will cease on 20th October unless further extensions are granted as happened in 2013. Despite the Government’s continuing refusal to listen to credible independent scientists, conservationists, fellow politicians or the general public, there is still a lot that we can do to protect our badgers from more senseless and cruel persecution in 2014. The pilot culls, earlier long-term studies and more recent studies have all shown that culling badgers is not a sensible or cost-effective way to control bovine TB in cattle. So please take action to help protect this very special member of our native wild fauna – Britain’s largest land-based carnivore and the emblem of our Wildlife Trusts. These patrols combine wildlife watching with a purpose. Join either patrol for just one night and you may find you become addicted. Sights of hares, deer and even badgers are possible whilst the sounds of owls echo round the countryside. 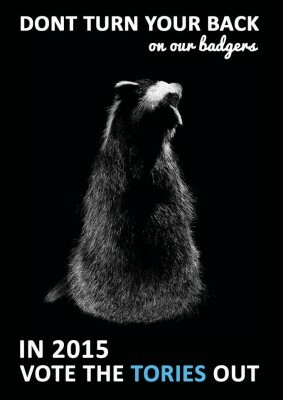 There are also peaceful, non-confrontational ways to show your support for badgers, conservation, science and democracy. In addition, many people feel empowered by the experience and long-lasting friendships have been forged as a result. If you can’t get to the zones yourself, please donate to keep those who can on the road or persuade a friend to come in your place. Concerned about media bias? Write and complain. Perseverance pays. Please see the links above and continue reading for further details. If you want to organise an event in your area, please visit the Care for the Wild website and get in touch with Dominic Dyer directly. Volunteers are still needed for groups in both the pilot cull zones that are dedicated to protecting and monitoring badgers in their area during the winter and early spring in case illegal killing of badgers takes place. Gloucestershire Against Badger Shooting (GABS) is a local group, which has been working as a part of Team Badger for the last year to try to stop the pilot badger cull. It set up a Wounded Badger Patrol that walked the public footpaths and highways in the West Gloucestershire cull zone during the cull to look for injured badgers in the evening and at night. The group acted within the law and did not trespass on land or intimidate land-owners. GABS welcomes more volunteers to join them. Built on the success of the earlier Somerset Nightwalks, the Somerset Badger Patrol, part of Somerset Against the Badger Cull is a peaceful, law-abiding, non-confrontational group that walked the cull zone regularly during the cull. The Patrol informs the police of their intentions to walk lanes, roads and public footpaths, and patrol members respect the country code and don’t intimidate land-owners. Dorset for Badger and Bovine Welfare has been established in order to fight against the badger cull and promote badger vaccination instead. A grassroots group run by volunteers, they need help in various ways such as signing up for the Wounded Badger Patrol and spreading the word. Please follow them on http://dorsetbandb.org/. Due to the Government’s determination to roll out the badger cull nationwide in bTB hotspots, other badger patrols keep springing up so keep an eye out for what’s happening locally. Devon Badger Defenders http://www.torquayheraldexpress.co.uk/Group-aims-protect-badgers/story-20484963-detail/story.html is an active group so please email gypsy43j@hotmail.co.uk for more details. Additionally, in Cornwall, please follow Cornwall Against the Badger Culls on https://www.facebook.com/pages/Cornwall-Against-the-Badger-Culls/459322554134589. Every letter and every email makes a difference, particularly if you write to the people and agencies listed below. Don’t underestimate the power of your voice. 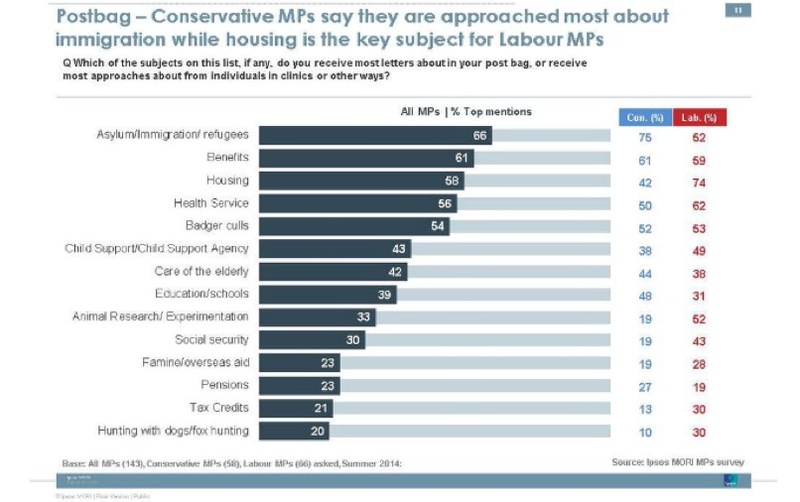 An Ipsos MORI survey of MPs in September 2014 showed that voters are so concerned about the badger culls that MPs had been contacted more often about this issue than about child support or social security and almost as often as about the health service. We live in a democracy (even if it doesn’t seem like it at times). Politicians and public bodies have to take note, respond and keep a record of the correspondence from the public on the bovine TB/badger cull issue.The Liberal Democrats claim that it was their opposition that stopped the roll out this year. So let’s keep the pressure up. We’ve listed some of the key people and agencies to write to. If you don’t have the time to write to all of them, please contact your MP, the Minister of Defra and Prime Minister David Cameron. And keep writing to them, even if they attempt to fob you off or don’t answer your questions. Persistence pays off. Asking specific questions is more effective than making statements since the people you are writing to will have to then put some effort into answering your questions and giving you a more considered response. Otherwise they may just send you a stock reply. While the HM Government e-petition to stop the proposed badger cull came to a close on 7th September 2013, it’s still worth reminding your MP and others that 304,006 people signed this e-petition, urging the government to abandon the badger cull in favour of more effective and humane solutions such as improved cattle TB testing, badger and cattle vaccination and biosecurity. It remains the most signed e-petition since the Government started these a few years ago. The petition was created in autumn 2012 by Dr Brain May, founder of Save Me, who was also instrumental in forming Team Badger, the largest number of wildlife and animal welfare charities ever to unite in opposition to a Government policy. And please remember to tell them that you won’t vote for them again if they support the badger cull. If you need inspiration for writing your letters, see the links below to some sample letters provided by various charities that are opposed to the badger cull. You can write directly to Elizabeth Truss, the Secretary of State for Environment, Food and Rural Affairs via Defra at the address below. Why not ask Ms Truss how she can continue to justify a badger cull policy that so many independent scientists agree is a ‘costly distraction’ and one leading scientific expert has described as crazy? You can use the information, queries and concerns raised on the Badgergate website and many others (see links below) to help you write your letter. Lord de Mauley TD , Parliamentary Under Secretary of State for Natural Environment and Science and the Conservative spokesman in the House of Lords. It seems Ms Truss and Messrs. Eustice and Rogerson can only respond to enquiries relating to their work at Defra via Defra’s postal address and/or email. Do make sure the correspondence is addressed to the concerned minister. Email or write to your local MP to continue to put pressure on the government to scrap the cull and focus instead on measures to reduce cattle-to-cattle transmission of bovine TB, promote non-lethal ways of minimising contact between cattle and badgers and prioritise badger vaccination. You can also ask them to put pressure on the government to overcome the EU hurdles that prevent the testing and use of cattle TB vaccination in the UK (see below). Please also urge them to sign EDM 299 asking for the Secretary of State for Environment, Food and Rural Affairs to give parliament the democratic opportunity to vote on the decision to roll out the pilot badger culls across the country. You can write to your MP through http://findyourmp.parliament.uk/ or through http://www.writetothem.com/. Find out if your MP is for or against the cull before you write through the Stop the Cull website. You can also locate and write to your Councillor through http://www.writetothem.com/ as well as Councillors in the cull areas in West Gloucestershire and West Somerset and the proposed cull area in Dorset. How can you justify continuing the pilot culls in Gloucestershire and Somerset without any independent monitoring given the Independent Expert Panel’s conclusions and recommendations following the 2013 culls? Why is England culling badgers when Wales has experienced a dramatic decline in cattle TB incidence as a result of implementing annual cattle testing and other cattle control measures and without culling any badgers, despite being faced with the same problem and after reviewing the same scientific evidence on the causes and solutions to bovine TB? Given the Welsh experience and the huge opposition to the badger culls in England from both the public and independent scientists, why is the Government still continuing with its badger cull policy in England? What/who is really driving this? How can you continue to keep the public in the dark about what has been spent so far on planning and preparing for each pilot cull and who exactly is paying for what, i.e. what are taxpayers paying for and what is the farming industry paying for? Why will the Government not tell us how much each pilot cull will cost to complete over the next 4 years? Bearing in mind the reports from last year (e.g. Natural England compliance reports, infromation from AHVLA monitors and the whistleblower’s reports) what are you doing to ensure that the public will not be put at risk during the pilot culls, how much will the extra policing and other measures cost and who is paying for this? Why did the previous Secretary of State for Environment, Owen Paterson, said that we need 20-25 years of hard culling of badgers when the Government also says ‘No one wants to kill badgers’ and has claimed that it is doing all it can to implement other measures, including cattle-based measures and investing in both badger vaccination and doing the necessary to make cattle vaccination legal? If the latter are all true, then an oral badger vaccine and cattle vaccination should be available in less than 10 years and would be far more cost-effective than culling badgers. You can find out more about the badger cull approach in Pilot Culls – the basics and in our Guest Articles, for example, Dr Chris Cheeseman’s Why a badger cull won’t work and Mark Jones’s piece for the Huffington Post on The inhumanity of badger culling. Dr Cheeseman spent many years studying badgers and bovine TB, while Mark Jones was until recently Executive Director of the Humane Society International/UK and is now Programmes Manager (Wildlife) at the Born Free Foundation. Team Badger has also produced a useful booklet, Backing Badgers, which counters many of the key claims made in support of the cull. Many experts consider vaccination of cattle against TB as an important part of a comprehensive bovine TB management strategy. Vaccination is being trialled in other countries, but EU laws currently prevent its testing or use in the UK because until recently there was no way to differentiate between cattle infected with TB and ones vaccinated against it. A new test (the DIVA test) is now available that makes it possible to tell the difference between vaccinated and infected cattle. We now need to overcome the EU-related hurdles that still prevent us from using the DIVA test in the UK and more importantly being able to trade in cattle vaccinated against TB. In order to do that we also need far greater political will in this country to fast-track cattle vaccination and other more effective ways of managing bovine TB rather than culling badgers. You can help by writing to your Member of the European Parliament (MEP) and asking them to do the needful to amend existing regulations and requirements that prevent the UK from implementing a cattle vaccination programme as part of the UK’s TB eradication strategy. You can find your MEP and write to them through http://www.writetothem.com/. While you’re at it you could also ask them what they think of the U.K. Government’s proposal to cull badgers to control TB and what they think are the priority actions for TB management in the UK. These are both very important agencies to write to if you have the time. Defra says “We are always pleased to receive comments and supply information about what we do.” They also say they will try to respond to any written communication within 15 days. So do give it a try. An Evidential Review held by Avon and Somerset Police has identified key areas where improvement in fair policing can take place and, in certain individual cases, ‘management action’ is called for. It has also emerged that a NFU representative was in the Silver Control Room liaising with the cull operatives and police during the entire operation in 2013. Campaigners against the cull have been assured that this will not be a regular part of the operational procedure during the the 2014 culls. Gloucestershire also has many more cases under review. The Government accepts that last year too many badgers suffered inhumane deaths and has identified that there needs to be further training before 2014’s culls take place. Postmortems will be carried out on 60 badger carcases in each cull zone, at which time monitors will accompany the shooters. However, there will be no Independent Expert Panel to assess and report on different aspects of the cull in a systematic and comprehensive manner. For example, by the end of the first week of the cull in Somerset, a female badger now labelled as Badger 41 was recovered with terrible injuries. The latter showed that she was disembowelled by a bullet while still alive and took considerable time to die. This means the shooter missed the stipulated target chest area by a very long way. Prior to the 2013 culls, the government and the NFU were very confident that all would proceed smoothly. The Police, it seemed, remained deeply worried and were described as wanting this badger cull “like they want a hole in the head”. Nothing has changed except the costs for policing the operation were more than three times the initial estimates – far beyond anyone’s expectation. So what will happen in 2014? Badgergate still thinks this scenario is a sure-fire recipe for confrontation and possibly disaster. Jokes aside, we know that there will be protesters walking along footpaths monitoring setts with which they are familiar with in order to ensure ‘their’ badgers’ safety. In the run up to last year’s culls, some protesters claimed that they would use vuvuzelas and all other legal means to prevent anyone shooting badgers. We imagine it will be the same this year and hope that reason will prevail before any badgers are shot – or anyone (or their pets or livestock) gets hurt. You can write to the PCC in the cull areas to express your concerns about free-shooting badgers at night plus any other aspect of public safety and policing of the cull, including, of course, the costs, which we assume will be paid for by the taxpayer. Additionally, you can report any potential violations of the Defra Best Practice Guidelines https://www.gov.uk/government/uploads/system/uploads/attachment_data/file/347541/badger-cull-controlled-shooting-guidance-2014.pdf during the culling periods. Both these veterinary organisations officially support the badger cull policy though there are dissenting voices within their membership (eg the British Veterinary Zoological Society (BVZS), a specialist division of the BVA, does not support culling badgers to control bovine TB). Stop the Cull has an active campaign with a letter to download targeting your local vet and encouraging them to lobby both the BVA and RCVS against future culling. A heavily redacted version of Defra’s humaneness monitoring document became available before the start of the 2013 pilot culls. This suggested strongly that some badgers would suffer terribly as a result of the free-shooting method. As we have seen from the pilot cull compliance reports from Natural England, the Independent Expert Panel report, and the AHVLA whistle-blower’s full report, free-shooting did not prove to be a humane method of removing badgers by the Government’s own standards. So please write to the Presidents of both the BVA and the RCVS and ask why them why they continue to support the government’s policy to cull some five thousand badgers this summer? It is also important to ask them why they are not insisting that the government do a post-mortem on every badger killed to check for TB so that we can get a better understanding of TB prevalence in the these populations. Some of the other charities have also included sample letters on their websites. As part of its Stop the Cull campaign, the RSPCA, has provided a template letter that can be sent to councillors from the pilot cull areas. The letter highlights concerns over a badger cull and urges a motion to be tabled so that badgers will not be killed on land belonging to the Council (a template council motion letter is also provided). There are numerous dedicated badger conservation charities as well as broader conservation charities and animal welfare charities all of which have contributed in different ways to protect the UK’s badger populations. These include organisations such as the Badger Trust and the Wildlife Trusts. The Badger Trust promotes the conservation and welfare of badgers and the protection of their setts and habitats for the public benefit. The Badger Trust also supports around 60 local volunteer badger groups nationwide. The Wildlife Trusts consist of 47 local trusts working together to save our natural heritage for future generations. The Badger Trust, the volunteer badger groups and the Wildlife Trusts all work closely with farmers and landowners as well as with other conservation and welfare organisations, the police and the government. All these organisations recognize that bovine TB can cause immense hardship to farmers; many have also been trying to find constructive solutions to the bovine TB problem, for example, by trialling and supporting badger vaccination programmes. You can support the valuable work of these different groups in many ways – by becoming a member if you are not one already, or by making a donation to their work, for example, on badger vaccination, or by volunteering your time. Most operate on shoestring budgets and will be grateful for any help you can give. Becoming a member or supporter of the Badger Trust and/or your local Badger Group is also a really good way to learn more about badgers and you can be as actively involved as you like: from keeping up to date on badger news via newsletters, to surveying and monitoring setts, going out badger watching, or helping out with fundraising and administration. It is all vital work and relies solely on the help from generous donations and volunteers. Links to some of the main organisations working directly on badger conservation or badger vaccination are given below. Social networking is a great way to keep up to speed on the badger cull, support the campaign to stop the cull and generally engaged in the debate. #badgermonday was launched in March 2013 and is when all those opposed to the badger cull devote some time tweeting about it to try to get this topic to trend. 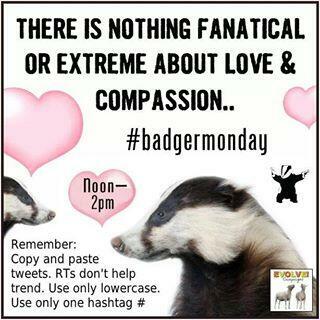 If you would like to join in, add #badgermonday to your tweets every Monday between 12-2pm (UK time) in order to get badger cull news and views trending across the UK each week. Please check on the day in case times have been changed. Please note re-tweets don’t count for trending. So, if you like someone’s tweet, copy and paste it into a new tweet or reply to it, but don’t forget to include #badgermonday. You can find plenty of helpful guidance on what to do on Twitter. Badgergate’s not big on Facebook. (In fact, we’re not there at all.) Yes, yes, we know. But we don’t have time. Sorry. So we don’t know all that’s out there, but here are some useful Facebook sites to follow. These sites also have very useful information. You will find a range of different types of information on Badgergate from important technical and scientific information on badger culling and bovine TB management to perspectives and creative contributions from people from many different walks of life. But there are many other important sources of information on the issues discussed here, including the websites of relevant government departments and agencies, the farming industry and press, academic institutions, and a range of conservation and animal welfare groups. Links to many of these are provided throughout our content. Consolidating these to include under our Useful Links page is on our (very long) list of things to do. In the meantime, here are a few to begin with. This is not a comprehensive listing, but just selected ones that we haven’t already mentioned above that have important information about the badger cull and related matters. If you’re against the cull and in favour of alternative ways of managing bovine TB, tell the world. Not everyone is aware of the issues surrounding bovine TB, badgers and the impending culls and what alternatives exist. Engage with family and friends to include them in the debate and persuade them to also take action. Apart from Facebook and Twitter, if you’re a blogger or have your own website, write about it, make videos, podcasts and share, share, share. If you have links to media outlets such as local newspapers and/or radio stations, why not try and get a piece published or aired? A short article or interview explaining why the cull is not a good idea and what we should focus on instead, could reach thousands more people and help increase pressure on the government to rethink its badger cull policy. You can also hand distribute information, leaflets and posters, on the cull at various venues, such as local weekend markets or outside supermarkets. 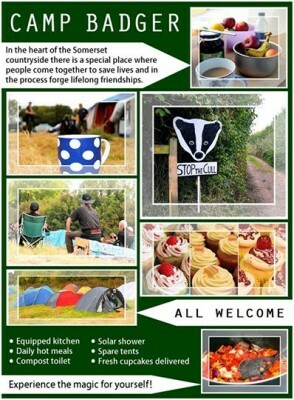 The Badger Trust and other organisations have more details including materials you can use and distribute. There are many other things you can do legally, depending on how important this issue is to you and what you have time to do and feel comfortable doing. You can find out more about all these things via the websites we’ve mentioned here as well as through Twitter. More controversially, there has also been much talk of boycotting farm produce, dairy in particular, ranging from boycotts of farms in the cull areas to wider boycotts of farming produce, including targeting of supermarkets carrying products from farms taking part in the culls. A YouGov poll commissioned by Care for the Wild has shown that there is a potential £175 million risk to the Organic Farming as a result of consumer boycotts due to the badger cull. These have predictably caused much outrage within the farming industry although we don’t really understand why since consumer choice is a basic principle of a freemarket economy. As we live in a democracy and a freemarket economy, Badgergate believes that this is a matter of individual choice. We support labelling of produce from farms taking part in the badger cull, so that customers can exercise their preferences and make informed choices. So please also write to your favourite supermarkets and producers to ask for clearer labelling, bearing mind it’s not just dairy farmers in West Gloucestershire and West Somerset who support the cull, but also other types of farmers.